The Diamond Store™ has some information for you. 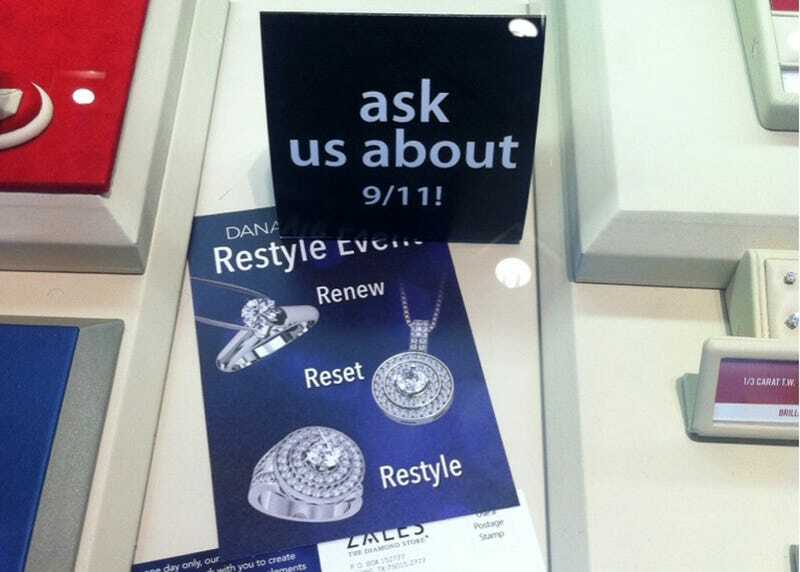 Spotted by a redditor at a galleria or mall located in parts unknown, this Zales promo sign is all but screaming at us to dig deeper, to ask a salesperson what they know, to find the truth... about their blowout 9/11 sale! Check out these engagement rings and bridal sets! Sparkle at a price you’ll never forget.